A wise and inspiring guide to creating a happy and healthy blended family by Mashonda Tifrere with contributions from her co-parents--Swizz Beatz and his wife, Grammy-Award winning singer and songwriter Alicia Keys. In January 2010, founder of ArtLeadHer Mashonda Tifrere and music producer Swizz Beatz finalized their divorce. When Swizz married award-winning singer/songwriter Alicia Keys, a new dynamic was born--three adults who loved and were deeply committed to raising Mashonda and Swizz's four-year old son Kasseem. 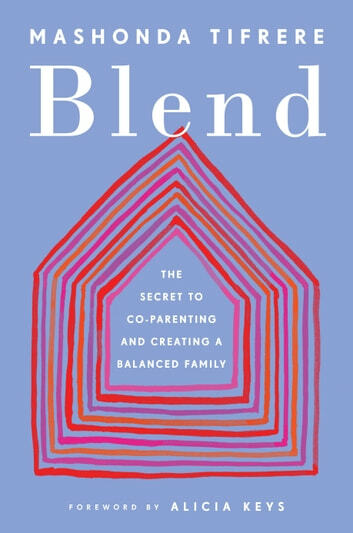 In Blend, Tifrere draws on the insights they gained from their journey as well as advice from family therapists, parenting experts, and other blending families, to provide an invaluable resource for blended families. Statistics show that one in three Americans is now a step-parent, stepchild, step-sibling or other member of a blended family. The number of first time marriages or romantic relationships that end in divorce or breakups and the high percentage of remarriages and new relationships that involve children demand a unique, life-affirming approach to processing the end of one relationship and the rebirth of a new familial dynamic with the well-being of children at its center. In this book, Tifrere shares intimate details on how she and her co-parents used communication, patience and love to create an environment where they were able to work as a team and all the children involved could thrive. 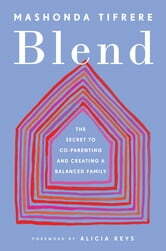 Blend will inspire a generation of families.